[38% OFF] 2019 Cropped Criss Cross Tank Top In BLACK | ZAFUL .. 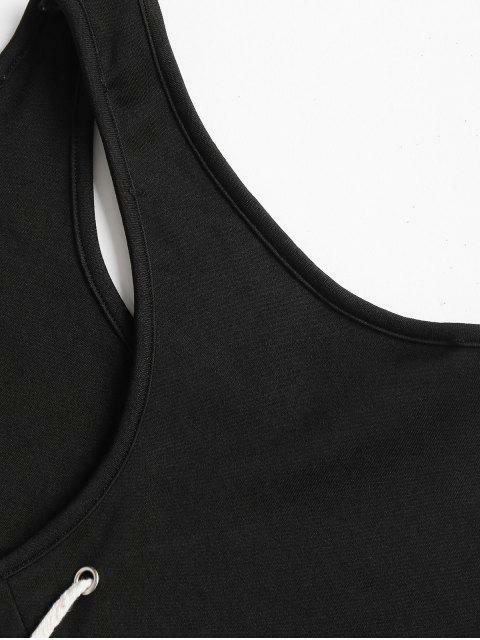 This slim-fit tank top is detailed with a criss-cross design on the placket and features a subtle sporty racer shape that is perfect for layering the high waisted jeans or trousers. It is so comfy to wear with its soft, stretchy fabric, don' miss it!